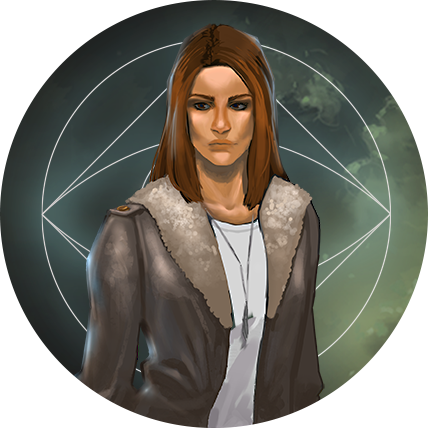 At the advent of deep space exploration, scientist Ria discovers that she can communicate to the dead through stabilized dreamworlds created in stasis. As she unravels a web of corruption and deceit while dealing with her own ghosts, the world soon discovers that their secrets are no longer buried with the dead. S/W is a what I like to call a “light sci-fi.” It takes place in the not so distant future at the genesis of deep space exploration. The comic explores the infinity of the mind more so than the infinity of space. M.Kalo is a product designer by day and an amateur comic book and conceptual artist by night. She drinks too much and has a skull fetish. Precocious but insecure, biomedical scientist, Ria Vargas, is the unwilling head of the stasis research project inside of Radon Inc. The past year of unsuccessful attempts to finish her mentor’s work after his untimely death has left her weary and her career in jeopardy. Her usual tenacity for problem-solving has all but diminished as failure after failure chipped away her resolve. With the first anniversary of Art’s death on the horizon, Ria is no longer convinced her perseverent nature can overcome the sheer obstacle of the project death knell. Radon’s head of the Aerospace Division, Eli Holt built his reputation and career with aggressive determination proving himself an uncompromising leader. 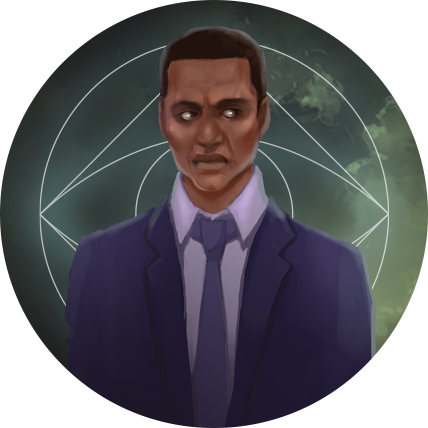 His discovery and subsequent support of Neuroscientist, Art Belyakov, secured an exclusive contract with Horizon, positioning his team as the trailblazers of interstellar travel development. When Art succumbs to a fatal heart attack, Eli finds himself at the precipice of a major decision: allow Art’s protege, Ria, the ability to carry the stasis project to completion, or come clean about their now compromised position. Against his better judgment, he allows Ria the chance to prove herself hoping that the project can progress far enough to keep Horizon as a customer. With a fruitless year ending, he now wonders if his one-time flexibility on originally ruthless standards will be his undoing. Relatively young and new to Radon, Cullen has dry, dirty humor but often serves as the pragmatic voice to Ria’s self-doubt. A recent graduate, his youth and inexperience sometimes undermine his utter brilliance as a software engineer. What he lacks in elegance, however, he makes up for with stamina as many caffeine fulled allnighters have put him as the go-to guy for any bug his peers cannot fix.